Mpiwa is the Regional Campaigns Specialist for Sonke. She is a human rights advocate who is committed to advancing women’s rights, gender equality and advocating for an African Continent where there is recognition of and respect for human dignity and equality for all, a continent that is conducive for everyone to realise their full potential. She has worked with various women’s rights organisations in South Africa including People Opposing Women Abuse (POWA) as a legal advisor, where she provided legal support to survivors of gender-based violence and monitored their cases within the criminal justice system as well as advocated for the promotion and protection of women’s rights, access to justice and gender equality. 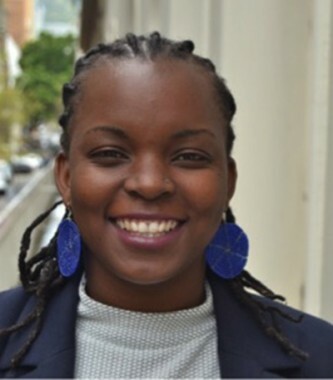 She also worked at Tshwaranang Legal Advocacy Centre (TLAC) as a researcher and advocacy officer monitoring the implementation of the Domestic Violence Act within the justice system and engaging with different platforms and stakeholders including local and international media advocating for women’s rights. She also has expertise as research consultant where she has worked with diverse human rights organisations within the country monitoring and evaluating implementation of various projects aimed at advancing human rights as well as providing research expertise. She holds a Bachelor of Laws Honours Degree and is currently completing a Masters in Peace and conflict studies, a journey which has seen her firmly believe in women’s participation in Peace building and has equipped her with skills in conflict resolution and transformation processes.